Here at Denham Green Academy we have developed our engaging and literature rich curriculum with the pupils and the staff to ensure that it is accessible for all and challenges and supports pupils to reach their full potential in all subjects. We teach using a linked curriculum with a core text from the Power of Reading strategy at the core. Having opportunities to read quality texts and apply our reading skills is at the heart of what we teach and believe in. We believe regular links and connections between areas of learning is how children learn best so have created opportunities for cross curricular discussion and teaching where possible, however we do not force links between topics if they are not there. We aim for our curriculum to be inspiring, balanced and creative and allow for children to have opportunities to transfer their skills and knowledge across all subjects in a purposeful and stimulating way. We hold reading at the heart of what we teach as well as our Core Values, the E-ACT passport and British Values which are entwined into everything we do. We also provide rich opportunities for the children to explore citizenship and real life world issues. This in turn helps them to develop skills such as collaboration and communication thus equipping them with the necessary skills for life in the 21st Century. We develop children’s strengths and support them to progress in areas that they find challenging. Our linked curriculum approach ensures that our curriculum is literature rich, as well as being broad and balanced. We believe regular links between areas of learning is how children learn best. English, Maths, Science, PE, Music and Computing are taught as discreet weekly lessons although where possible we link to the theme for that term. All other lessons are taught through the theme. Our English lessons are taught using the core text from CLPE – Power of Reading approach. 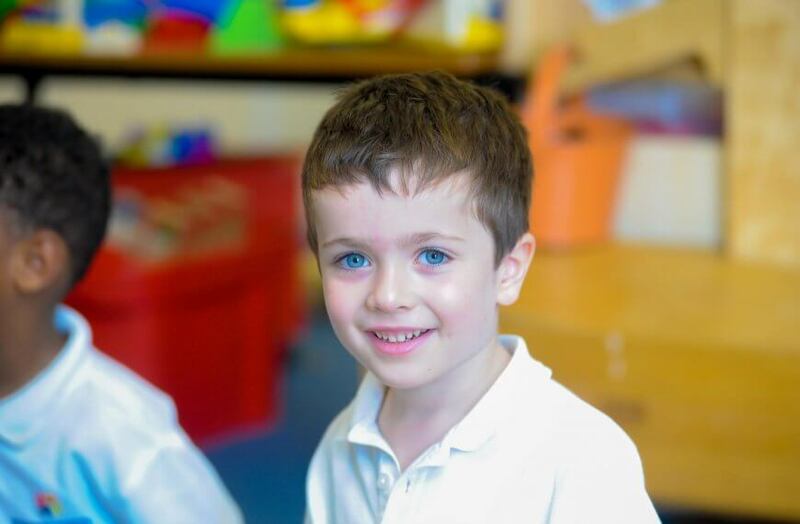 The first curriculum your child will encounter on starting school is the Early Years Foundation Stage. In Reception children learn through play (we call this exploring), with a range of opportunities for child-initiated and teacher-led activities. These activities enable your child to learn through a range of play based activities in a safe and secure environment. Free flow play allows children to become independent learners moving between the indoor and outdoor environments as well as having daily activities that are completed in adult led activities. The curriculum in the Early Years stage consists of prime and specific areas of learning and development. The three prime areas are personal, social and emotional development, physical development and communication and language. There are also four specific areas of learning: literacy, mathematics, understanding the world and expressive art and design. Our staff teach the children by ensuring challenging, playful opportunities across the prime and specific areas of learning and development allowing them to foster the characteristics of effective early learning which are playing and exploring, active learning and creating and thinking critically. Throughout Reception children’s achievements are assessed using an online assessment tool called ‘2Build’ where we upload the progress children are making in class through statements and photographs. Parents are also able to log on and upload photos and comments about their child’s learning at home so that school and home are working in partnership together. These are English, Maths, Science and Computing. Your child will take part in English and Maths lessons every day, usually in the morning. English consists of reading, writing, spelling, punctuation and grammar (SPAG) and speaking and listening. Our English lessons are based around a core text (from the Power of Reading -CLPE) which is linked to our topic where possible. This helps embed subject knowledge and adds to the development of the children’s vocabulary, sentence structuring and understanding of various writing genres. The book is covered in depth and the children experience a variety of learning approaches which include story-mapping, role-play, discussion/debate, reading aloud and story-telling. They are taught to write different styles of writing such as stories, poems, letters and many more. Grammar, spelling, punctuation and Dictionary skills are also a focus within these lessons. In addition to English lessons, all children from reception up to year 2 will take part in our phonics programme (Letters and Sounds) to improve spelling and reading. Years 3, 4, 5 and 6 will have daily SPAG lessons. All children take part in guided reading where children are grouped by ability and read a range of books and then discuss the books so that children can develop inference and deduction skills. The academy has a huge range of independent and guided reading books. We group our reading books in coloured bands, and children work through these reading levels as they become more proficient. Your child will be encouraged to change their reading book every day, or when they have finished their reading book. Maths is now taught very differently and many of the methods you were probably taught are no longer used! We hold regular curriculum evenings to keep you up to date, and teachers will be happy to talk through calculation methods with you. The Academy also has a calculation policy which is available to parents, so that parents can see how maths is now taught across the school, building on what children have learnt in each year. Here at the Academy we teach a ‘mastery’ approach to mathematics, with a greater daily emphasis on developing children’s mathematical fluency, their ability to reason and their problem-solving skills. We also follow the ‘concrete-pictorial-abstract’ approach to developing mathematical learning. The children have a daily maths lesson, which develops these skills, as well as an arithmetical daily lesson, where we continue to reinforce key skills, and fluency in times tables. Science is taught every week as a discrete lesson, using the National Curriculum programmes of study across all classes. Wherever possible it is taught through practical activities and investigations. Children are asked to select questions to investigate within topics, design experiments, select equipment to carry them out and predict outcomes. They then analyse their results and draw conclusions from them. All children will be taught the relationship between physical activity and a healthy body and a healthy mind from an early age. This will include the development of an understanding of the key role that healthy eating plays in the development of a healthy lifestyle. All children are taught PE by our Sports Coach every week. Computing runs through the whole curriculum. From the very youngest age children will become familiar with technology through the use of computers, interactive whiteboards and tablets. They will have opportunities to use ICT themselves within whole class and small group teaching. Children learn how to use word processing and publisher programs, graphics software, data handling and spreadsheets, PowerPoint and control technology. They also have access to the internet throughout the school and are taught how to use it safely and responsibly. RE is an important area of the curriculum for all age groups. The academy has developed a culture and curriculum that encourages exploration of a broad range of faiths. At the academy children learn about all world faiths and are taught to respect the beliefs of others. Through R.E. we encourage children to reflect on their experiences, behaviour and opinions and in doing so prepare them for adult life. We teach RE though drop down days where all classes are taught RE for the whole day to allow for depth in knowledge and skills in this area. We hold an RE day once a half term. Pupils from Years 3-6 will receive one French discreet lesson a week. Children will be introduced to key vocabulary that can be used on a daily basis in class, along with singing and playing games. Lessons will also provide the opportunity for pupils to learn about the culture and geography of France. 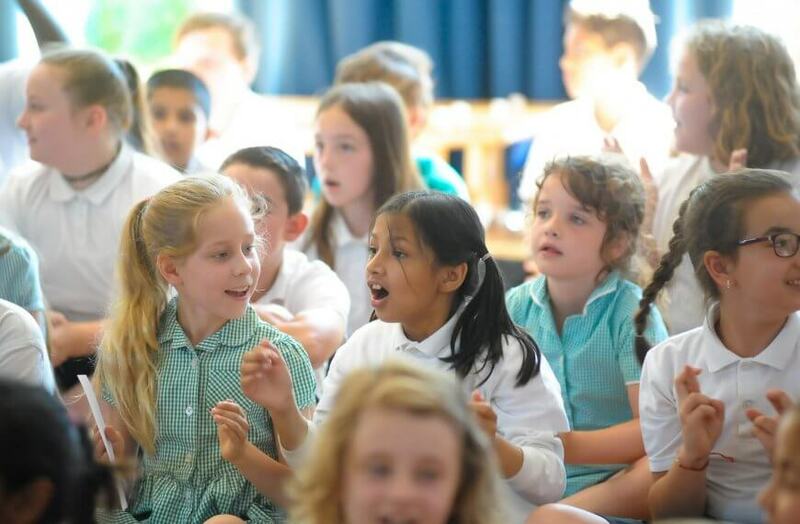 Pupils from Year 1 -6 receive a weekly discreet Music lesson covering performance, singing, music theory, history and provides an opportunity for children to listen to Music from a range of different eras and cultures. We also hold weekly singing assemblies as we believe in the importance of singing. We also have a school choir. We also offer individual and group music lessons in drumming, guitar and piano. All the other subjects within the curriculum are known as the foundation subjects. These are History, Geography, Art and Design and Design Technology. These subjects are taught through our Topic lessons which are based on the half termly theme. We teach PSCHE theme through the programme of Jigsaw. There are 6 Jigsaw Puzzles (half-termly units) designed so the whole school can study the same learning themes at the same time, each year group at its own level. The Puzzles are sequential and developmental throughout each academic year. Jigsaw includes regular circle time discussions with the aim to stimulate debate and reflection within a structured setting. Children learn about healthy lifestyles, keeping safe, peer pressure, physical development and relationships, all an essential part of life and learning. We teach SRE through the programme of Jigsaw and in line with our academy policy. SRE plays a vital part in preparing children for the opportunities, responsibilities and experiences of adult life. The academy makes every effort to consider pupils’ opinions and as a result we operate a student council which is made up of elected pupils from every class. Weekly meetings are held between the Academy Council members. The Academy Council also meets regularly with the headteacher to discuss any suggestions that have been made by pupils. The Department for Education recently reinforced the need “to create and enforce a clear and rigorous expectation on all schools to promote the fundamental British values of democracy, the rule of law, individual liberty and mutual respect and tolerance of those with different faiths and beliefs.” We teach the pupils about the British Values through our whole curriculum as well as assemblies. so it is immersed into our daily school life. If anyone would like further information regarding our website please contact the academy office.